Welcome to Assistance to the Incarcerated Mentally Ill, a/k/a The Dorothea Dix Group. YOU ARE INVITED to the HUMAN RIGHTS FOR PRISONERS MARCH. March across the Internet and demand respect for all people. America has 1.25 million mentally inmates who are intended to continue being prisoners to benefit prison investors. Read some of the stories at this website. 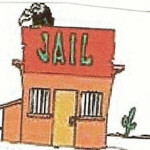 Please also see Dog Justice for Mentally Ill at http://DogJusticeforMentallyIll.blogspot.com . My mentally and physically disabled brother, Larry Neal, was secretly arrested for 18 days and killed in Memphis Shelby County Jail. The jail and the United States Department of Justice colluded with The (Johnnie) Cochran Firm to cover-up the death rather than be accountable for Larry's murder. That began an elaborate conspiracy that continues today, nine years later. See Wrongful Death of Larry Neal website http://WrongfulDeathofLarryNeal.com . Many mentally challenged people are abused and killed every year under the color of law. Approximately half the victims of police violence are mentally dysfunctional. That is wrong from the standpoint of civil and human rights and a violation of God's plan that we care for vulnerable people (Hebrews 13:3, Matthew 25:40, and Proverbs 31:8-9). HOMELESSNESS, PRISON, AND DEATH MUST STOP BEING AMERICA'S ANSWER TO MENTAL ILLNESS. LET'S PROMOTE JUSTICE. (Links do not open in a separate window. Please use your back arrow to return to AIMI.) Caring about the welfare of prisoners, especially sick people, is humane and Godly, according to Hebrews 13:3 and Matthew 25:40. It is morally wrong and financially wasteful to try to punish mentally ill people into a state of mental health. Sick inmates leave prison worse than they arrived, IF they leave. Many die like Sean LeVert (restraint chair death), Larry Neal (cause of 2003 death still illegally withheld by authorities) and Tim Sauders (restraint table death). Please join the conversation at AIMI's Group Discussions positioned beneath this billboard. Together with other human rights activists and organizations, we can decriminalize mental illness and become a bridge in the mist for incarcerated mental patients to a more humane existence. Prisoners with mental dysfunctions should be either hospitalized or cared for in their communities, depending on their offenses and the severity of their conditions, not imprisoned! Disabled people should not be jailed for their health conditions. AIMI is a group for those with a commitment to HUMAN RIGHTS to come together and promote decriminalization of illness and the stigma associated with this condition. AIMI gives no psychiatric, medical, or legal advice or referrals. Our goals are simply to educate the public on the seriousness of the issue and promote change in how mental illness is dealt with by our legislators and law enforcement. AIMI works to help (a) remove barriers to timely treatment, thereby reducing the number of patients who must be removed from society, and (b) see that acute patients who do require containment become hospital inpatients, not inmates. Please begin by reading our Mission Statement at the New Members tab. Thank you for joining us in this effort to bring ASSISTANCE TO THE INCARCERATED MENTALLY ILL!